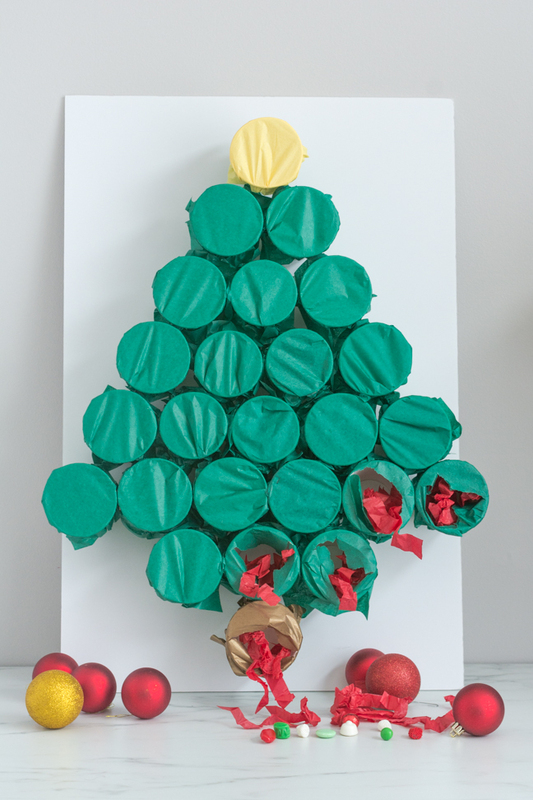 Advent calendars are a fun way to count down the days to Christmas. However, putting them together can be so laborious and time consuming that by the time you’re finished, December is half over. But this advent calendar is a cinch. It takes about 30 minutes to put together (plus some time to find the little gifts). 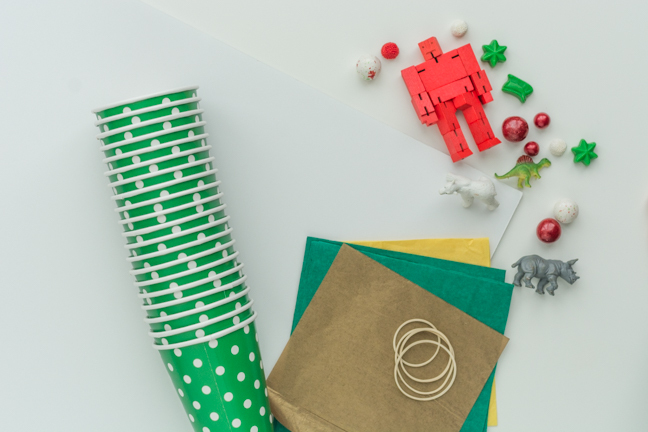 This “poking” advent calendar is also perfect for little hands, as all it takes to reveal the day’s treat is to poke a finger through tissue paper. 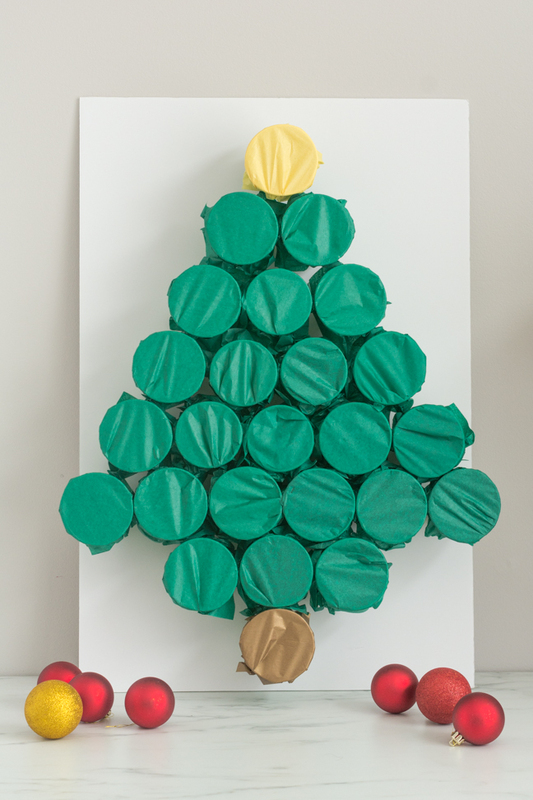 Step 1: Lay out the paper cups in a tree shape. 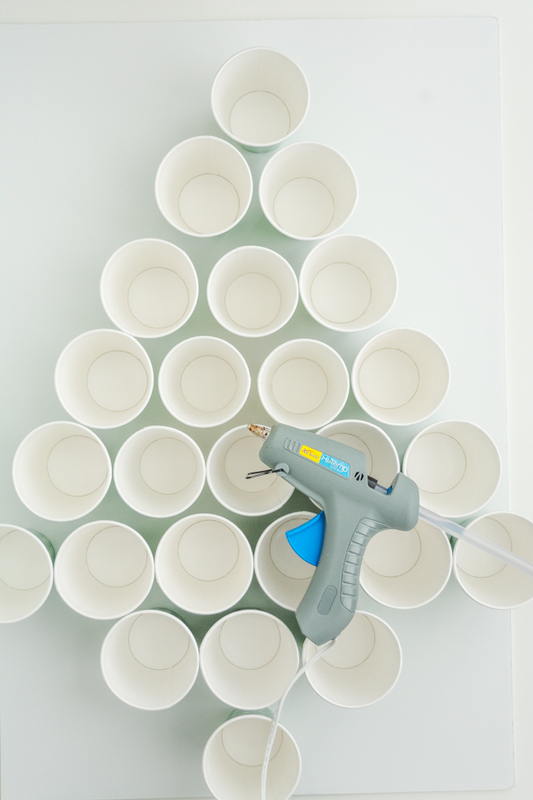 Use hot glue to adhere the paper cups to the foam core. 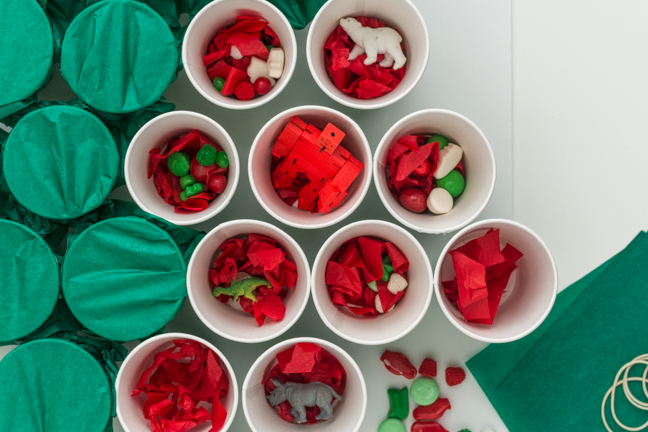 Step 2: Fill the cups with small treats or gifts. 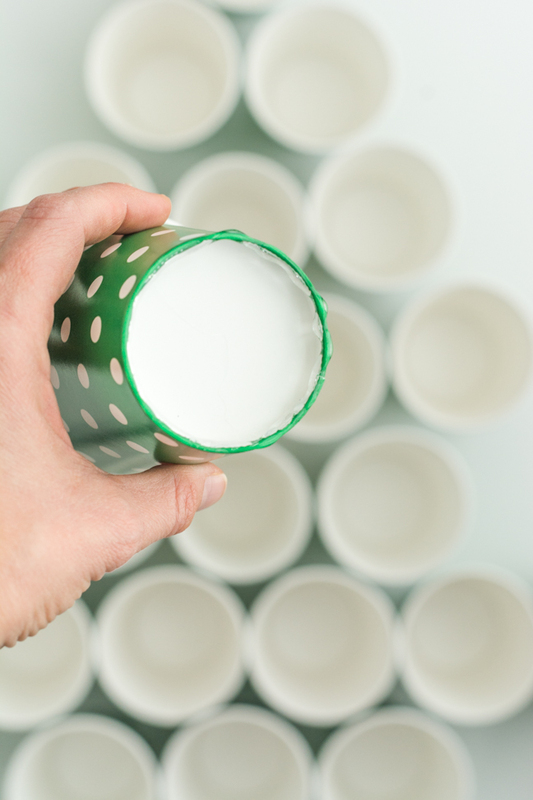 Step 3: Lay a piece of tissue paper on the top of each cup and wrap a rubber band around the top of the cup to hold it in place. That’s it. 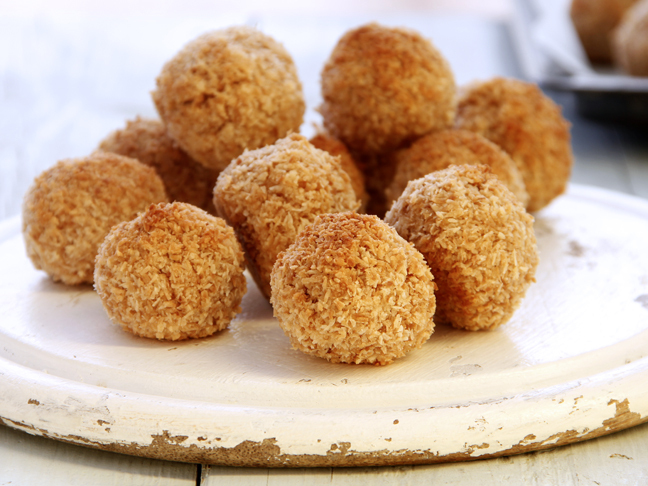 Now all you need to do is start counting down the days until Christmas!